I love leafy greens. Be it in juice, chutney, salad or sabzi, a handful’s got to be there every day. Consuming leafy greens during the monsoons however, could be a scary idea since we hear the greens get dirty and contaminated, and are prone to having a lot of germs and bacteria on them. 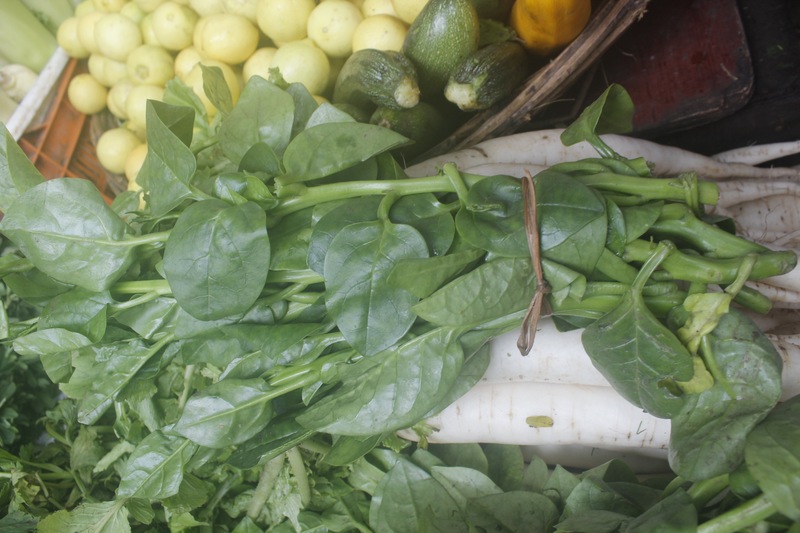 Besides, a lot of our staple leafy greens like spinach and methi are too delicate to survive the torrential Indian monsoon. They just rot and die. This is what my friend Hemant (who lives on an organic orchard since the last 25 years) told me. And when I saw his words come alive in the life of the mamoth basil pot in my balcony, I was absolutely sure this is the gospel truth! So basically the palak and methi (which are actually winter greens) that we see at sabziwalas are probably force grown off season with a heavy doze of fertilizers pumped in to make them survive. I didn’t like the sound of this at all ! So decided to investigate if there were any leafy greens worth having during the monsoon. For if nature doesn’t provide them during this season, then there’s probably no need for us to have them in our diet either. I was pleasantly surprised with what I found after speaking to several ‘gouti’ sabziwalas☺ There are a number of greens with their lovely flavors, packed with immunity building minerals, that we can totally have so much fun experimenting with. The fact that they survive the monsoon fury, means they really are resilient and therefore transfer the same qualities to us too! After all ‘we are what we eat’ right ? I am listing my 5 top greens (along with ways to use them) this monsoon. 2. Chawli patta, also known as hari maat (cow pea leaf), is abundantly and easily available. Use it to make sabzi ( use grated coconut or peanuts for extra crunch and flavor) or juicing. 3. 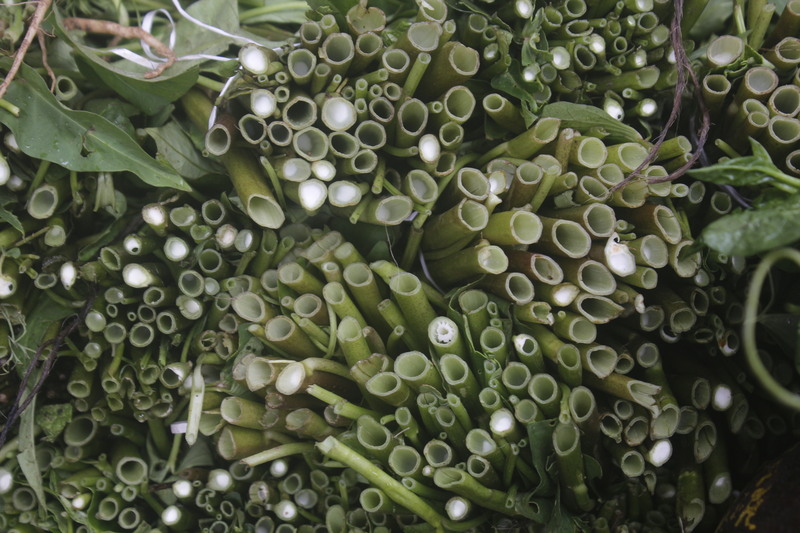 Poi ( Malabar spinach ) is actually a creeper and has these fleshy green leaves and stems. Can be cooked as saag and combined with a variety of gourds (also available during monsoon) or starches, or simply added to dals. Search online and you’ll find quite a few interesting recipes for this. 4. 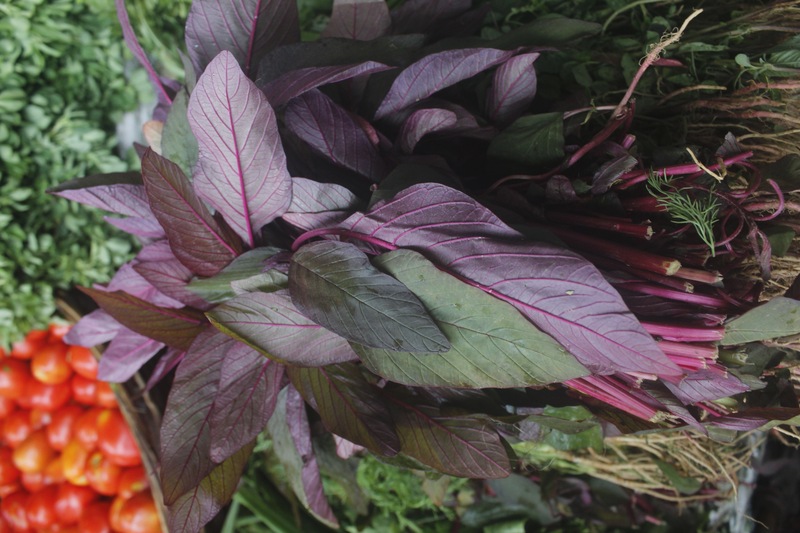 Lal Maat or lal bhaaji (amaranth) though technically not green, is a reddish leaf, now available through the year, but is originally grown during monsoon. Lovely to juice, to sprinkle on salads or cook as a sabzi ! 5. Nal bhaaji ( did not find what it is called in English) – steamed with garlic and a bit of salt, and voila, you have a simple interesting side dish. the picture I have added is of the backside of Nal bhaji bundles. I suspect it is going to be great to add into clear soups as the stems are hollow like a bamboo and will soak in the soup flavors and this is how I am going to try it the next time around. Apart from the lal and hari maat, you may not find the other greens at your regular bhaji wala. 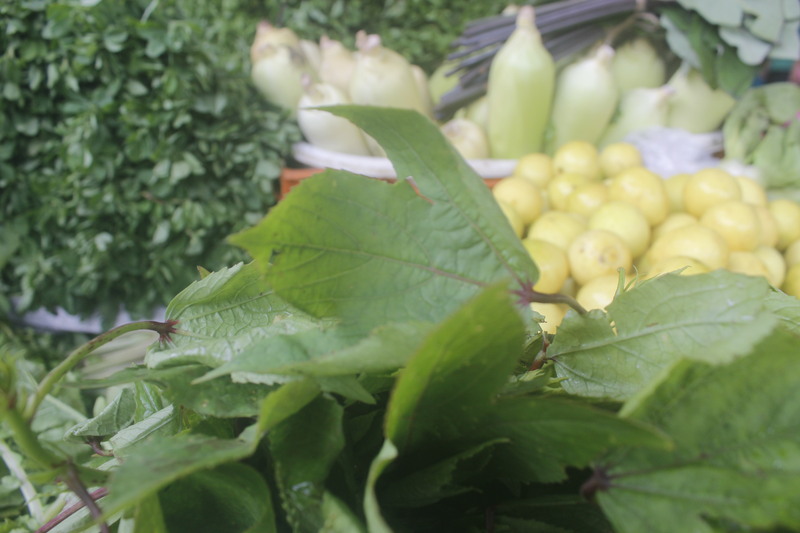 But reach out to the lone gouti vendor and you are sure to find these green treasures and more.